The Good Wife will lose another regular this year—probably in less-shocking fashion than the last time that happened. Archie Panjabi’s departure from the show was announced yesterday, a move that allows the Emmy-winning actress to headline her own drama pilot next spring. 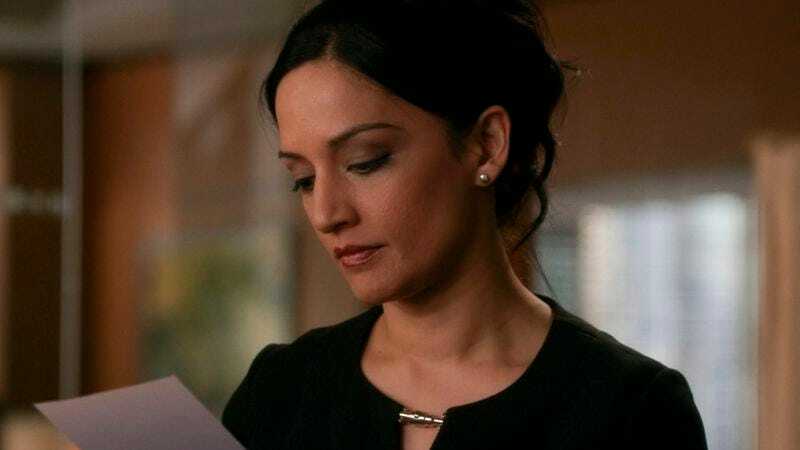 “It’s been a pleasure to write for her, and we’ll be sad to see her go; but we still have her for the rest of season six, so let’s not exhaust our goodbyes yet,” Good Wife showrunners Robert and Michelle King stated, indicating that they don’t have a startling death planned for Panjabi’s character, Kalinda Sharma, a legal investigator and owner of TV’s finest collection of leather jackets. Not until May 2015, at least.